Our caterpillars arrived last week. I love raising caterpillars/butterflies. It's one of my many favourite parts of the kindergarten year. A box labelled, FRAGILE, LIVE SPECIMENS was delivered to the classroom Tuesday afternoon. The grade 7 delivery boy knew exactly what was in the box. But the kidlets didn't. There are baby caterpillars in there. Give me a minute. 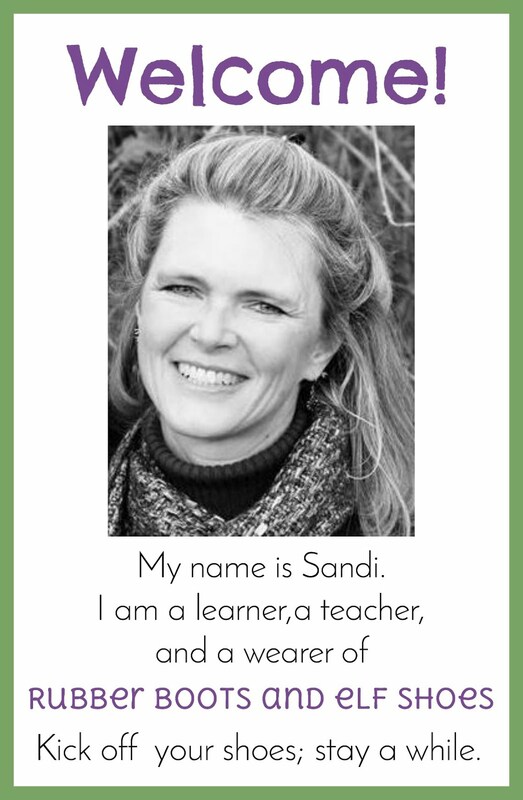 Could you please get my teacher scissors. Walk. See, they are in this container. I will put them into their own containers after school. Yes. They will get bigger. In a few weeks they will be butterflies. 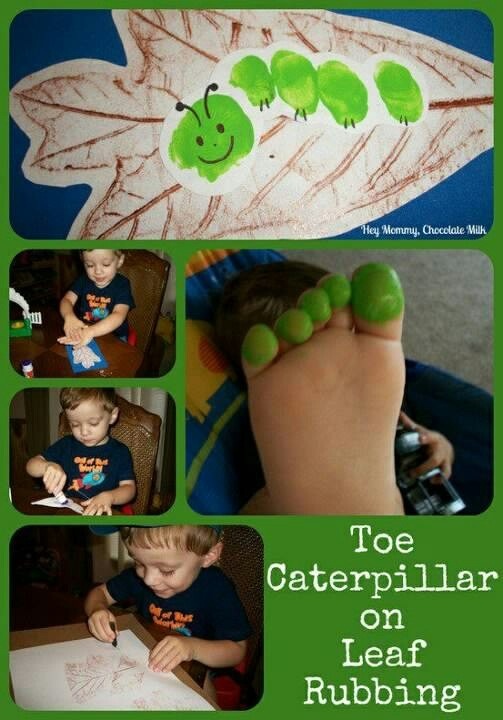 But first they are caterpillars for a bit. I was looking for a book about caterpillars to show the kidlets. I know that butterflies are the main attraction, but I think that caterpillars are a bit overlooked. Something we have to get through before we can have butterflies. 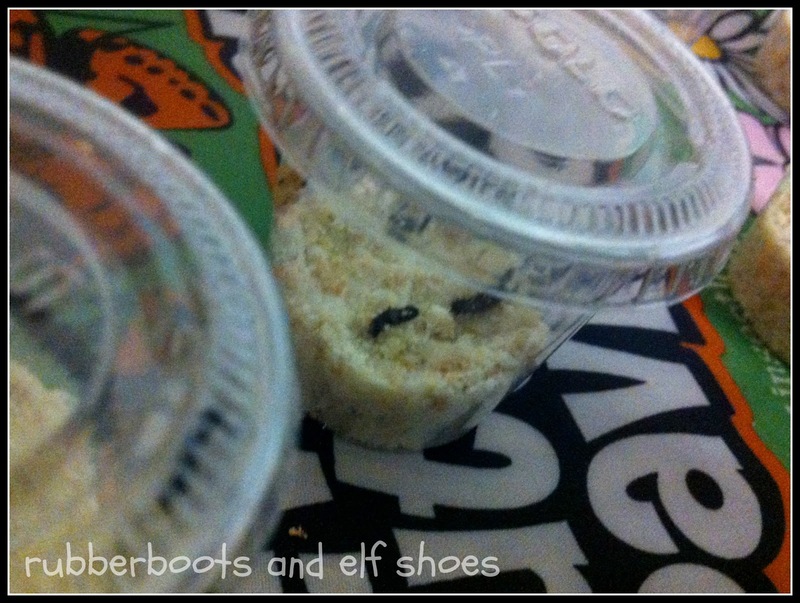 I wanted to find some way of sharing with the kidlets that caterpillars are pretty cool in their own right. I found a book that fit the bill. It begins as an egg underneath an umbrella of leaves, protected from rain, hidden from creatures that might harm it ... until the caterpillar inside chews free from its egg-casing, tiny, wingless, hungry to grow. 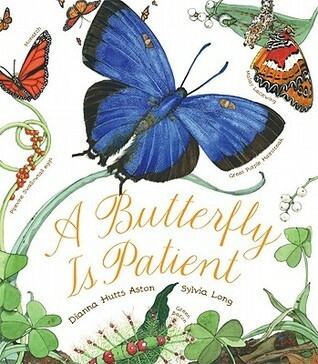 Starting with the egg, A Butterfly is Patient takes the reader through the butterfly life cycle, focusing on various interesting butterfly facts. 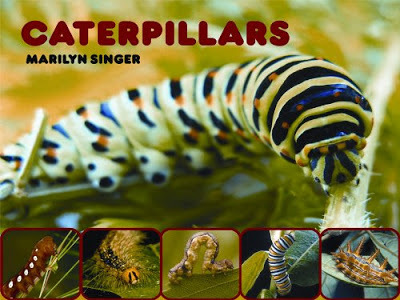 I was looking for caterpillars, so the first thing that caught my eye and imagination was the inside cover of the book. 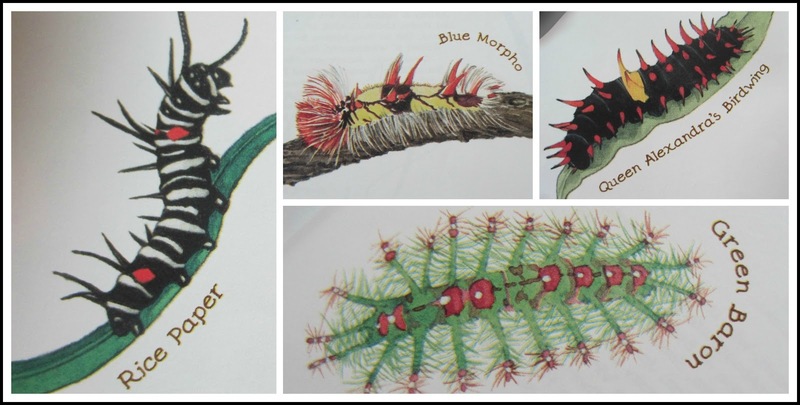 Beautifully illustrated and detailed pictures of a variety of caterpillars filled the page. I projected the pictures onto a screen, and the kids were amazed at the spikes and hairs and colours of some of the caterpillars. 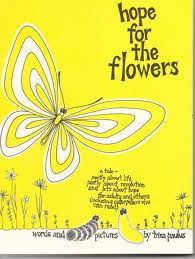 The rest of the book carries on with interesting facts that kids take pleasure in remembering - eating and drinking habits, navigation patterns and even poisonous butterflies. The illustrations are spectacular and compliment the text perfectly. They are incredibly detailed , yet still simple and uncluttered. They invite investigation and stimulate curiosity. Publishers Weekly Starred Review summed it up nicely: A lovely mixture of science and wonder. 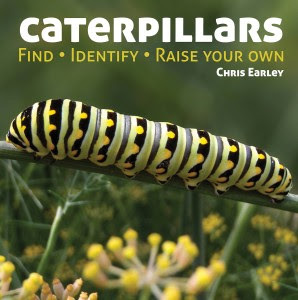 Raise caterpillars. 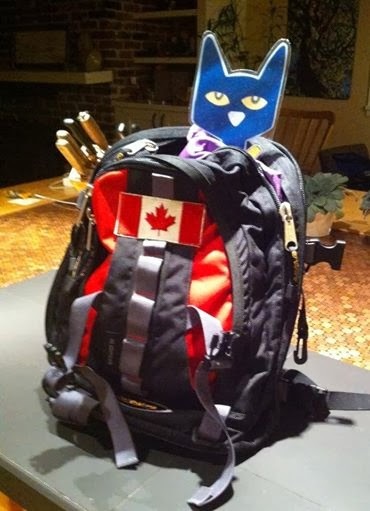 We ordered ours from a school science supply company. 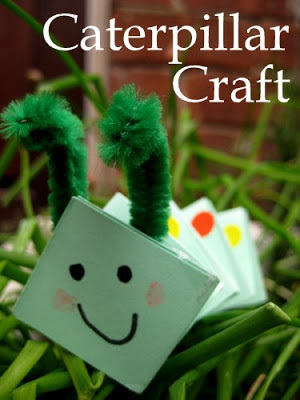 Check out other books about caterpillars. Click on the covers to find more about the books. 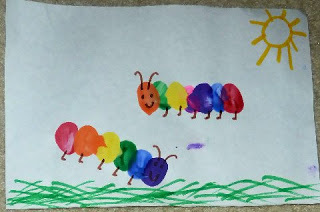 There are lots and lots of fabulous art activities for the Very Hungry Caterpillar. But that is another book! 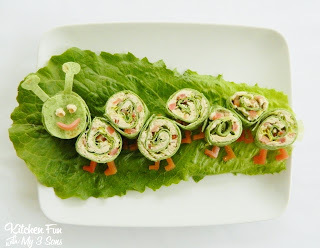 Check out these un-hungry caterpillar art ideas. I must have a thing for caterpillars. Maybe they are the underdog stage in the butterfly life cycle. 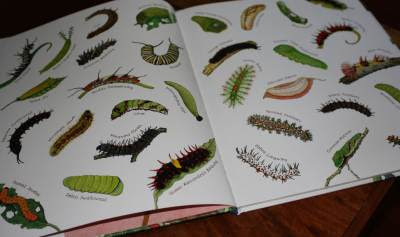 Last year I reviewed a different book about caterpillars. 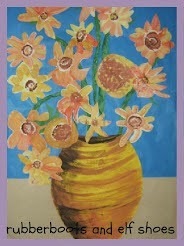 Click on the book cover. It's a fabulous book. I love this book. Your activities are wonderful as usual. I think it would be great fun to paint kids toes to make caterpillars. They'd love being barefoot in school too. I love all of her books! They are so beautiful. I recently read to the kids A Seed is Sleepy. And they also enjoy An Egg is Quiet - we use these books too as a way to demonstrate how we start asking questions when we read. Her little tidbits of information are a great springboard. I am in love with your activities!!! And thanks so much for including pages from the book. They are just fantastic. Thanks for the great review.